Welcome to Timeout Afterschool and Breakfast Club. Our club is an Ofsted Registered Charity and open to all children who attend Manland school. We are a place where your child(ren) can play, create, learn, socialise and most importantly, eat, drink and laugh. Our club is managed by qualified staff, some fantastic local student helpers and a trust of parents whose children attend Manland school. We operate a safe recruitment policy within Timeout Club and all members of staff will have completed our security checks and will hold enhanced DBS certificates. Our staff provide a safe and happy environment for your child(ren) before and after school. Children arrive from 7.30am onwards and are offered breakfast. At 8.40am they will be escorted to either the infant or junior playground. A member of Timeout staff will remain with them until they reach their classrooms. Older children make their own way to the Timeout room (unless it is their first day) The children will be registered and given a healthy snack and drink. The infant school children are collected from class, by members of Timeout staff and taken to the Library for registration and snacks. We have a large choice of craft supplies, toys and equipment for both indoor and outdoor play. We plan and provide lots of seasonal activities and also activities which are related to what is happening in the world. Children who stay for the final hour (after 5.15pm) are offered a light meal which varies daily. The children do have an input in the menu and often help in the preparation. We cater for all dietary requirements and allergies. All members of staff hold food hygiene certificates. There is an annual registration fee of £15 per family. This will be invoiced following the receipt of an online registration once the registration period opens in the summer term. The registration will cover both the Breakfast club and the Afterschool club. We cannot accept bookings for either club unless a family/child is registered. Incomplete registration forms or forms without a photograph will be rejected. Registration is completed online via the following link https://goo.gl/HL3Ywp Alternatively, email manlandtimeoutclub@gmail.com to request a link to the form. Breakfast club is £5.50 per session with a 10% discount offered to families of two or more children. After School club is £5.00 per hour with a 10% discount offered to families of two or more children. Please note! 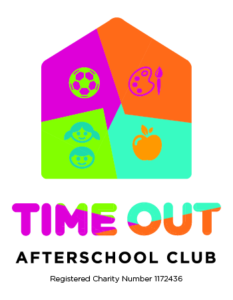 Children attending school clubs and who are collected by Timeout and will be charged from 3.15pm. Timeout Club is invoiced half termly in arrears. Invoices are sent electronically to the primary contact given during the registration process and our payment terms are 14 days from date of invoice. Payments can be made online, childcare vouchers (preferred methods) or by cheque. No cash please. Further details about payments or childcare vouchers can be obtained from the Timeout secretary. Persistent failure to settle invoices will result in cancellation of bookings and/or registrations. Cancellations for breakfast club are charged at full price. Cancellations for afterschool club are charged at 50%. Failure to collect your child(ren) before Timeout closes will result in late fees. Late fees are charged at £5 per 15 minutes (or part of) after the closure time of 6.15pm or 5.15pm on Fridays, per family. Bookings can be made via the following methods. Please state clearly the name(s) of your child(ren) the date the booking is required and the time of expected collection. In person Pop into the Timeout room and chat to a member of staff. In writing Leave a note/letter in the Timeout post-box located in the school’s reception area. Leave a message in the Timeout message book kept adjacent to the school office window. These are both checked at 3pm every day. We appreciate a phone call or text message to inform us that you are running late, as it allows us to plan tea numbers and staff requirements. Children must be signed out by an adult or a responsible teenager. Timeout will not allow a child to leave on their own, under any circumstances. If there is an unavoidable delay, please contact the club as soon possible. Should it be necessary for you to arrange for someone else (who the staff are not familiar with) to collect your child(ren) they must use your designated password which you provided during registration. It is imperative that you inform us of any alterations/cancellations to your bookings as soon as you know to allow us to plan meals/staff. Please refer to the previous section for information on cancellation charges. We pride ourselves in being here to help the parents of Manland School. If you are urgently requiring childcare due to emergency situations or changes to circumstances, please contact us and we will do our best to help as much as we can. To enable all children to have fun safely, reasonable behaviour is essential. The club expects and encourages members to behave responsibly and to respect both staff and each other. Our behaviour policy is displayed on the Timeout notice board adjacent to the Timeout room or can be provided electronically on request. Any accidents are recorded in the accident book, which the collecting parent/carer must sign before departure. Our adult staff are qualified in First Aid. Plasters may be used unless parents have advised otherwise. The club is fully insured in the event of accidents occurring. The Timeout Club policies are displayed on the Timeout notice board adjacent to the Timeout room or can be provided electronically, on request.